Disney Parks confirmed today that Nick and Judy from the upcoming film Zootopia will begin appearing in the parks soon. In Disneyland Resort, they will offer a standard meet and greet in Disney California Adventure. They will found in the Hollywood Land section. In Disney World, Nick and Judy will only be available in the Magic Kingdom’s Move It Shake It dance party. No meet and greet was announced for Disney World at this time. Disney stated that these changes will take place “later in Spring” 2016. When will Judy and Nick have a meet and greet at wdw? I’m going back in either June or July and I have to get a picture with them and me in there. Plz reply back as quickly as possible. Will this happen starting tomorrow? The 26th? Can you dance with characters during movi it, shake it? I really wish that more of these meet and greets would be at Walt Disney World instead of the “dance party” offerings. 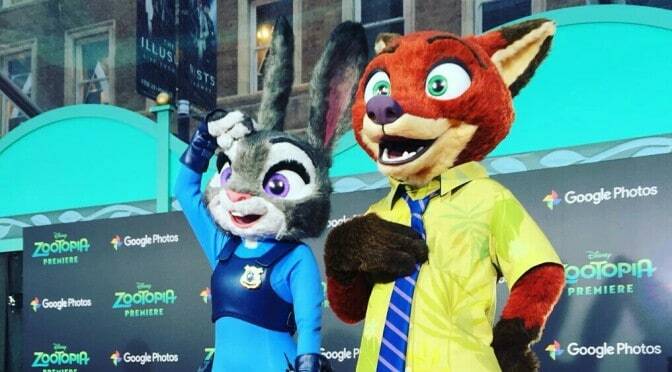 My only wish is to get a photo with both Nick and Judy together. If Nick and Judy are going to be in The Move It Shake It Dance and Play It parade in WDW then dose that mean their replacing any characters that are already in The Move It Shake It parade? If so what other characters do you think there going to replace for Nick and Judy in The Move It Shake It parade? Sorry off topic but my 180 ADR is less than a month off, do you have an idea when they will announce the dates for MNSSHP? You Disneyland locals are so lucky right now.